Institutions of higher learning have been urged to establish partnerships with local and international stakeholders as a way of enhancing stakeholder satisfaction in the tertiary education sector. 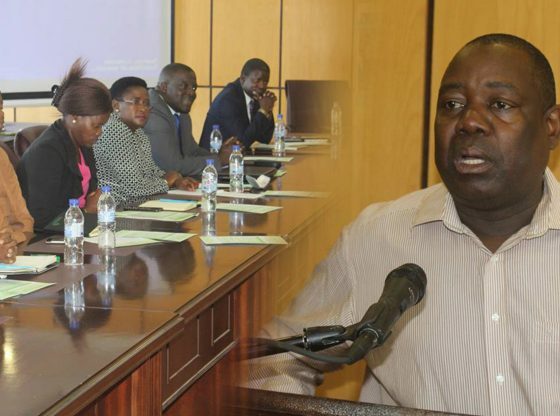 The Vice-Chancellor of the Midlands State University, Professor Victor Muzvidziwa made the call at the Zimbabwe Council of Higher Education (ZIMCHE) Marketing, Information and Publicity meeting, which was held at the MSU Main Campus in Gweru on Friday, the 22nd of March, 2019. Professor Muzvidziwa also urged universities to develop well structured marketing and public relations plans and utilise the limitless opportunities available in the digital space to achieve the objectives of their institutions. ‘As the higher education sector, we should strive to be competitive and understand that we are not competitors, but we want the sector to be highly competitive. Also, we want to ensure that as we take Zimbabwe to its middle class status, we are part of that process. We must be part of the institutions that lead the process and the area of marketing, public relations and information become core to that process because the public needs to be aware of who we are and our global impact,’ he said. Various presentations were delivered during the meeting, the ZIMCHE Acting Chief Executive Officer, Dr Augustine Tirivangana delivering a presentation on ‘Marketing the 21st Century University’. Among key issues raised by Dr Tirivangana was the need for Marketing and Public Relations practitioners to consider Vision 2030, Education 5.0, Heritage-based philosophy and the Zimbabwe National Qualifications Framework among other strategic documents when formulating and implementing their strategies. The one day meeting was attended by marketing and public relations practitioners from new and established state and private institutions of higher learning from across the country.